Run through your checklists with ease and reduce cockpit clutter. Integrated, digital checklist templates keep critical safety procedures organized and easily accessible for every phase of flight. 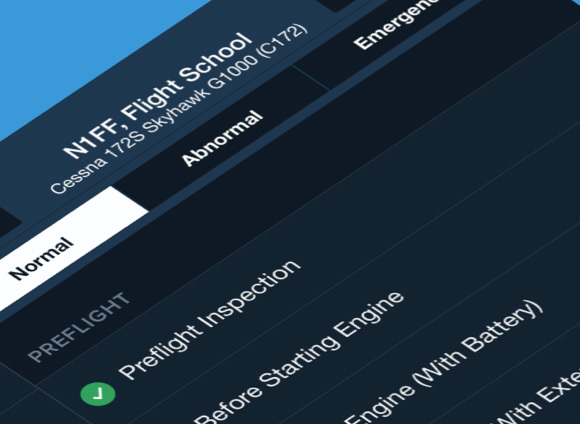 ForeFlight Checklist integrates one of the most important aviation tools into the app you already use for every stage of flight. 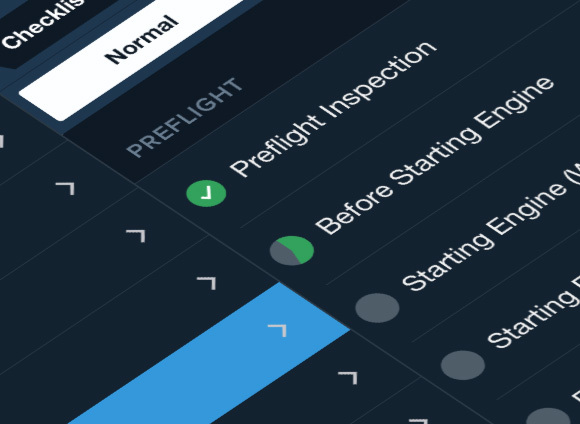 The intuitive, simple interface fits naturally into your workflow and helps you conduct safer flight operations. Go with your flow and complete checklists with a series of simple taps. Helpful green check marks and progress indicators keep you on track and ensure you never miss a step. 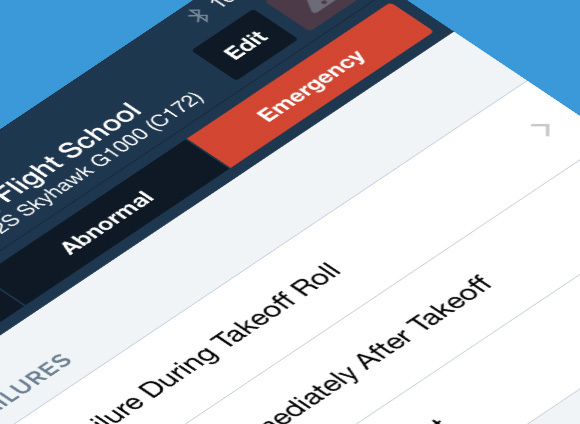 Create checklist groups organized by aircraft with just a few taps. Normal procedures are organized into preflight, inflight, and post-flight groups. Easily rearrange lists using drag and drop gestures to fit your flying workflow. The emergency button immediately takes you to your aircraft’s emergency checklist procedures, saving you time and sparing you the hassle of flipping through paper in a time-critical situation. Reduce the amount of time you spend heads down with helpful color-coding that gives you visual feedback and an easy way to pick up exactly where you left off with a quick glance. 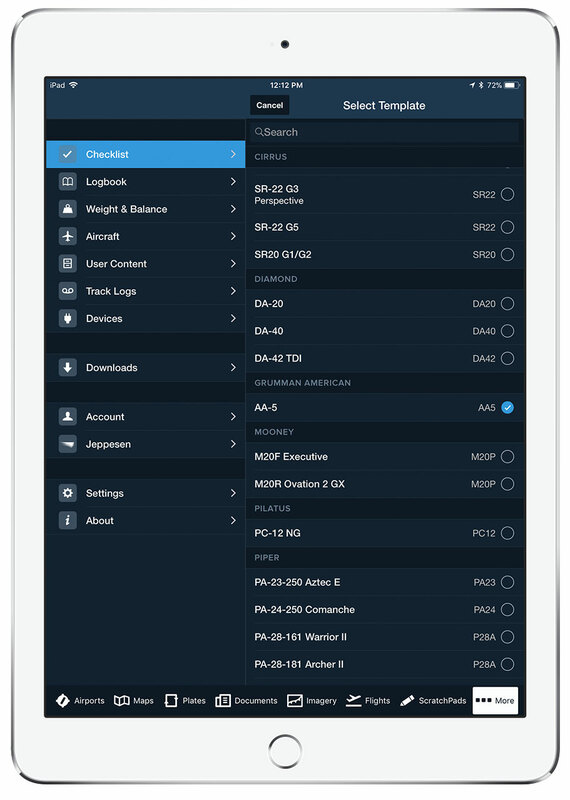 Derived directly from pilot operating handbooks, choose from one of ForeFlight’s built-in templates for a variety of fixed-wing aircraft models and select rotorcraft models. Edit built-in templates or create and edit your own customized collection of checklists. A template for the IMSAFE pilot checklist is also available – don’t forget to preflight your fitness for the mission! Build a checklist template and easily share with your flying friends, club members, or aircraft partners via email or AirDrop. Edits you make to a checklist template automatically sync across of all your devices. Leave paper procedures in your aircraft’s side pocket. No need to worry about torn or missing checklist pages if you rent or share ownership of your airplane. 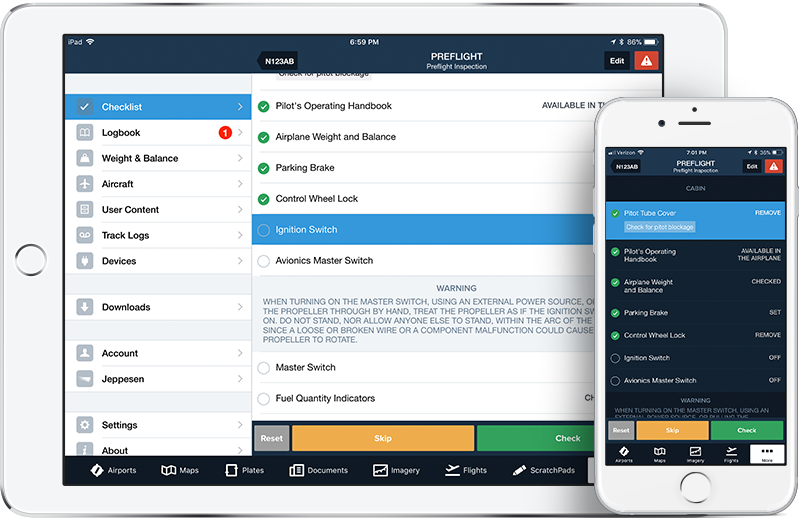 With ForeFlight Checklist, the procedures you rely on are always ready to fly.